are identical. If so, just post again and someone will help you explore the problem further. If you do post again please tell us what browser you are using and the version number of the browser. Please also confirm the version number of the 1Password browser extension as the number you have given looks a little odd (I believe the very latest beta version of the browser extension is only 4.5.2.b1). Edit: Of course it's quite possible this may have something to do with the OS X beta version you're apparently using but it's probably worth exploring the other options too. I just try with the last update of extension 4.5.1.90 for Chrome [46.0.2490.80 (64-bit)] or 4.5.1 for Firefox [41.0.2] and I always have the problem. When 1Password asks you to save Login items that are already in your vault, does it only happen after you've been asked to unlock your vault from the 1Password Save Login window like this? @mbk28: If 1Password is locked, it can't read your data to see that you already have a login saved for any given site. 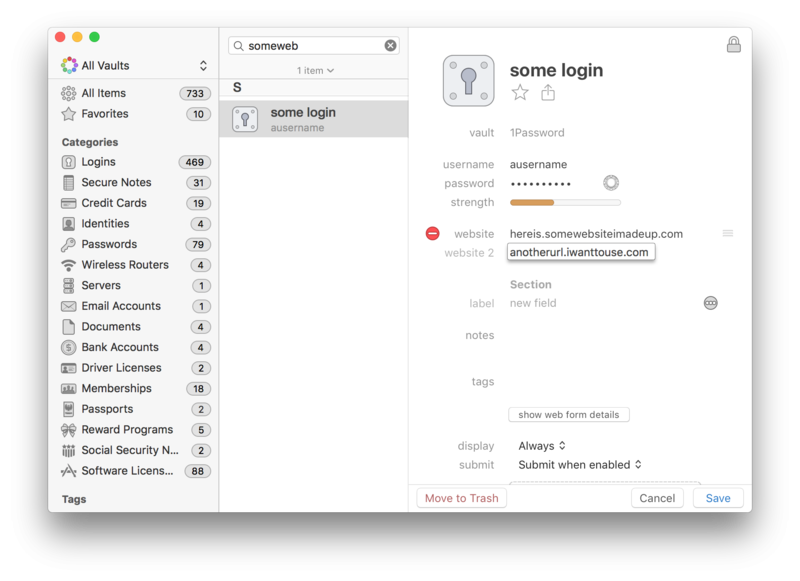 If you go into 1Password Preferences > General, do you have Always keep 1Password mini running checked? If not, that's the problem. Please let me know what you find! @mbk28: Thanks for checking that! Were you able to update Chrome and Firefox? If not, that would be the next step. When there's an update pending, it often breaks any extensions (including Chrome's built in Flash support) until it's complete. Go to the Chrome and Firefox menus and check About to verify this. Just be sure to include a link to this forum thread and your username in the email so we can 'connect the dots'. We will get to the bottom of this! I am seeing this as well. It's new behavior for me. I think it only happens when I have to unlock 1P, but I'm not certain. One problem is that the same username/password combo that uses the Apple ID is used on multiple websites. Surely I don't have to keep a separate 1P login for each website. I'm using the current Safari extension and 1Pb36. One problem is that the same username/password combo that uses the Apple ID is used on multiple websites. Surely I don't have to keep a separate 1P login for each website. The hidden structure of each login page differs and 1P needs to "know" or "learn" that structure in order to work properly on each login page. "Open and fill" and the ⌘\ shortcut, for filling in logins, won't work unless the saved URL (in the 1P website field) exactly matches that of the page where you're trying to log in. @TomWolsky: Stephen_C brings up a good point. I also wanted to mention that you can also add multiple URLs to items, which can help with something like an Apple ID where you use it in different places: simply edit an apple.com login to add icloud.com, etc. That this is necessary is completely intentional, as 1Password should only be filling your sensitive information at the specific URLs you set it up to (by saving the login in the first place, and expressly adding other URLs to it later). Otherwise you may end up inadvertently filling your login for "apple.com" at something like "support.apple.com.my.website/forphishing.aspx"...and that would be bad. But going back to what Stephen_C said, if the login forms are different enough that it prevents 1Password from filling with details from one page on another, then saving another login will ensure that 1Password has the information it needs to fill that page. While this means having another login, I definitely prefer doing that so I can use 1Password to fill my login credentials, rather than doing it manually. I hope this helps! If I can add multiple URLs to a single login, when I get the dialogue asking to save a login I have the option to create new or update. I presume when I use update, 1P replaces the existing URL, and if I use create, it makes a new login. What I suppose is needed in this instance is an option to append to an existing login. Is that possible? @mbk28: That's very odd indeed! I see that we've received your email, so we can continue the conversation there. We'll take a look at the diagnostics and get back to you shortly! What I suppose is needed in this instance is an option to append to an existing login. Is that possible? That way you can just copy the URL and paste it in there without changing the perfectly good login you already have! Thanks. I'll have to look out for the edit function. I don't recall seeing it in the save dialogue that appears. @TomWolsky: There isn't an Edit option when saving a new login. After all, until you've saved the login, there's nothing to edit! The save dialogue has options for new or existing. @TomWolsky: I understand that, but you cannot edit items there — which is what you'll need to do to add multiple URLs. 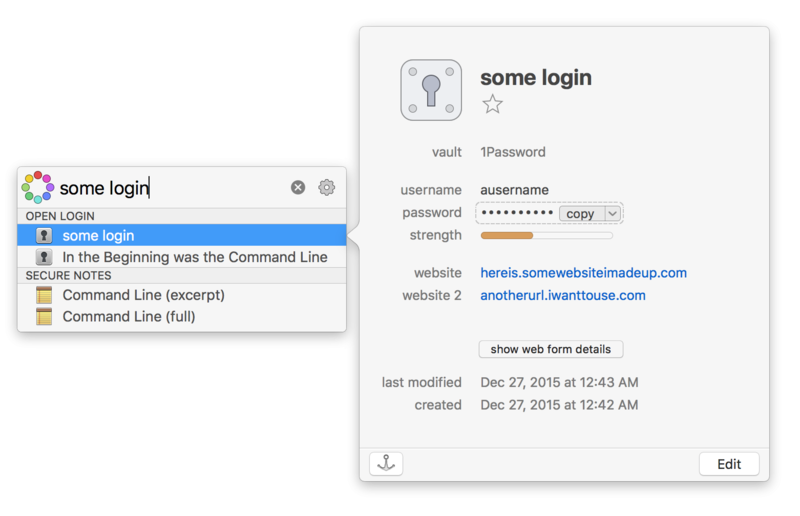 When saving a login, you can create a brand new one, or overwrite an existing one. Definitely useful, but not for the situation you were describing! Every page has a different URL as it has a direct link back to a specific topic page. All the URLs are different, which is probably why the save dialogue is appearing every time I log in. It's not a real link. Hence the Xs. It's just an example. I can't link you to the actual page unfortunately. Just to note that 1P has stopped doing this today. Haven't seen any more save dialogues. Maybe simply resaving/updating in 1P fixes it. So the question is, do you see the Save Login window if you first unlock 1Password, then lock it using the keyboard shortcut ⌃⌥⌘L compared to if you have just rebooted your Mac? I believe it will only be the latter and with the former you get the expected behaviour, is that correct? We've received your diagnostic report but before we try delving through it I'd just like to make sure I'm looking for the right thing. As I was saying to TomWolsky, we are aware of a bug where 1Password incorrectly asks you to save a Login item if the vault is locked while if the vault isn't then it correctly identifies and ignores it. Is this what you are seeing, that you're asked to save when you shouldn't be but only if you need to unlock your vault? @littlebobbytables I rebooted. Did not unlock 1P, and went to a site I hadn't been to since the problem occurred, and I did indeed get the save dialogue again. I'm running 1Password 5, Version 5.5.BETA-37 (550037), AgileBits Betaand am signed into my 1Password for Teams account. 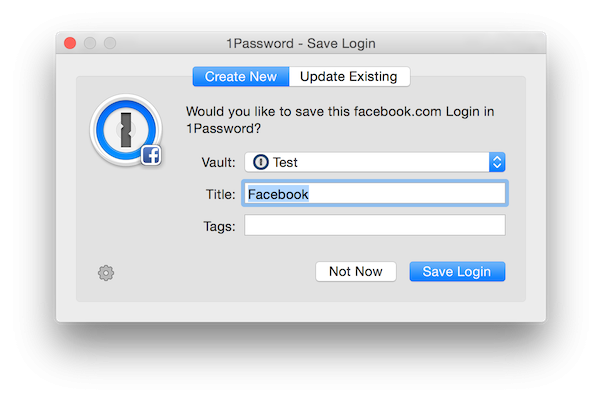 Since instilling this latest Beta I have noticed that from time to time 1Password pops up the dialog 'unlock 1Password to save this login' for no apparent reason (there is no browser open), usually just after I have unlocked my Mac. I did not observe this behaviour with the previous beta. Is this a known issue? If not, what can I provide to help you diagnose this? It is mildly annoying. I have the same issue, I get the pop-up after waking my Mac from sleep. This is on OS X 10.11.2. @ChrisJenkins as your post relates to 1P for Mac beta I have moved the post from the 1Password for Mac forum to the 1P for Mac Beta forum where you will get more help. Edit: because you issue seems very similar to that mentioned in this existing thread: see, particularly, this AgileBits' post. If you think you issue is different please post again.